Lipoma Arborescens – Eyes See What Mind Knows! Lipoma Arborescens is a rare entity and needs high index of suspicion for accurate diagnosis. It is a condition that needs early intervention to prevent progressive joint degeneration and gives excellent patient satisfaction with arthroscopic synovectomy. Authors: Himanshu Gurunath Kulkarni , Gurunath S Kulkarni , Prakash G Kulkarni . Department of Orthopaedics, Shraddha Surgical and Accident Hospital, Sangli, Maharashtra. India. Ambedkar Road, Sangli – 416416, Maharashtra. India. Introduction: Lipoma arborescens is a rare lesion, benign in nature and was first described in detail in 1957. <200 cases have been reported in the literature by now. It consists of subsynovial villous proliferation of mature fat cells. Since the incidence of the condition is very rare, definite etiology has not established. Arthroscopic or open synovectomy has been the treatment of choice of the lesion. Case Report: We present you a case of lipomatosis arborescens of the right knee in a 28-year-old male. The magnetic resonance imaging images showed high signal intensity villous or nodular foci on both T1- and T2-weighted images which were indicative of fat globules. They were predominantly found in huge number in suprapatellar pouch. The patient underwent arthroscopic synovectomy showing numerous broad-based polypoid or thin papillary villi composed of fatty tissue. Approximately 40 cc of lobulated globules were removed, and some were sent to histopathology which confirmed the presence of benign synovial tissue and fragments of adipose tissue present beneath the synovial surface. On 1-year follow-up, the patient was free of pain and devoid of any mechanical symptoms. Conclusion: Hence, we conclude that this is a rare entity that needs early intervention to prevent progressive joint degeneration and has excellent patient satisfaction with arthroscopic debridement with very low incidence of recurrence. Key words: Lipoma arborescens, synovial lipomatosis, arthroscopic synovectomy, body mass index, frond-like. Lipoma arborescens (LA) is a rare and poorly understood articular lesion, benign in nature. It was first described in detail in 1957 . Since then, only <200 cases have been reported in the literature, but the availability of magnetic resonance imaging (MRI) has led to a marked increase in the number of reported cases over recent years . According to Vilanova et al., incidence was approximately 0.25% in MRI scanned knees; the incidence within the asymptomatic population will be even lower . It consists of subsynovial villous proliferation of mature fat cells, usually involving the suprapatellar pouch of the knee joint. The condition is usually monoarticular; polyarticular and bilateral involvements are not uncommon. Although some cases have been reported in the shoulder, the subdeltoid bursa, the elbow, the wrist, the hip, and the ankle, nearly all the cases involve the suprapatellar pouch of the knee . The Latin term “arborescens” means “tree-like appearance,” describing the characteristic villous and frond-like morphology of this condition, and it was first described by Dr. Albert Hoffa, in relation to Hoffa’s disease in 1904 . The etiology of the condition has been unknown. Some theories such as increased body mass index (BMI), pre-existing synovial, and traumatic insult have been put forth, but since the incidence of the condition is very rare, definite etiology has not been established. Arthroscopic or open synovectomy has been the treatment of choice of the lesion in the limited literature available, and it has also been stated in some studies that delaying synovectomy may lead to progressive articular degeneration. 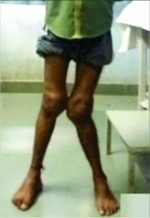 We present you a case of lipomatosis arborescens of the right knee in a 28-year-old male. Our patient was a 29-year-old male patient (BMI – 21.6) who presented with persistent RT knee pain over the period of 8 months. It was associated with occasional mechanical symptoms such as popping and locking while performing daily activities. The patient denied of any history of trauma and had been treated by a general practitioner with nonsteroidal anti-inflammatory drugs for the pain without any favorable outcome. On examination, the knee was found to be swollen with noticeable fullness of suprapatellar pouch. On palpation, there was no specific tender point or the presence of fluid in the joint. Examination revealed no instability with varus and valgus stress testing, negative posterior-anterior drawer tests, and negative Lachman and McMurray’s tests. He had free active knee range of motion without crepitus or clicking with normal patellar tracking. X-rays showed normal joint space and no abnormal soft tissue shadows, fractures, or osteochondral lesions. The MRI images showed high signal intensity villous or nodular foci on both T1- and T2-weighted images which were indicative of fat globules (Fig. 1 and 2). They were predominantly found in huge number in suprapatellar pouch, and no other ligamentous or meniscal defect was found. Since the patient had clear MRI findings consistent with synovial lipomatosis, he was posted for arthroscopic synovectomy after all routine pre-operative investigations, which were found to be normal. On arthroscopy, a large number of fat globules was found in suprapatellar pouch and some in the medial and lateral gutter. They had typical “frond-” like appearance and found in multiple clusters (Fig. 3 and 4). There was the absence of any ligamentous, meniscal, or osteochondral lesions. Arthroscopic synovectomy and extensive debridement of polyp-like fat projections of the right knee was performed. Approximately 40 cc of lobulated globules were removed, and some were sent to histopathology (Fig. 5). The reports confirmed the presence of benign synovial tissue and fragments of adipose tissue present beneath the synovial surface (Fig. 6). The patient was started with an active range of motion exercises from the first day and was discharged on the 5th day. On 1-year follow-up, the swelling was dramatically reduced, and the patient was free of pain and devoid of all mechanical symptoms. Synovial lipomatosis or LA is a rare disease which typically presents with symptoms of swelling and joint pain. Review of the literature reveals that LA commonly affects adults. It is usually found in age group of 9-68 years, but a case of a 1-year-old child having LA has been reported too . The etiopathogenesis of this condition is still not understood. Causes that have been implicated include trauma, inflammation, rheumatism, and neoplastic processes, but none has been proven. It has also been stated in a study that synovial lipomatosis may be the result of excess fat deposition or fatty changes occurring due to obesity. It was established that a BMI higher than normal can be a cause for abnormal fat deposition and resultant LA [7, 8]. Pain in the condition can result due the underlying inflammatory disease or history of trauma, and the mechanical symptoms due to entrapment of fatty in growths during routine knee movements. In some studies, two different entities, primary and secondary LA have been put forth [9, 10]. The less common primary type is idiopathic and occurs in patients of a younger age group between the second and third decades of life. The more common secondary type is defined as synovial lipomatosis associated with an underlying chronic irritation such as degenerative disease, trauma, meniscal injury, or synovitis, and is usually seen in elderly patients. Clinically, articular masses can be classified into five subgroups, i.e., noninfectious synovial proliferative lesions, infectious granulomatous conditions, depositional joint diseases, articular masses of vascular origin, and articular masses of neoplastic origin . Among those, synovial lipomatosis needs to be differentiated from rheumatoid arthritis, synovial chondromatosis, pigmented villonodular synovitis, tuberculous arthritis, and gouty arthropathy. However, methodical imaging studies, especially MRI can be very helpful in getting a specific diagnosis. The absence of erosions as in rheumatoid arthritis and absence of hemosiderin as in PVNS is helpful for differentiation. “Tree-like” appearance of fatty tissue in MR is pathognomonic of LA. LA shows high signal intensity villous or nodular foci on both T1- and T2-weighted images that are suppressed on short tau inversion recovery (STIR) or fat saturation sequences, similar to that of any subcutaneous fat. The remaining nonfatty component of hypertrophied synovium in the condition displays heterogeneous high signal intensity on T2 or STIR sequences and intermediate-to-low signal intensity on T1-weighted sequences. Plain radiographs occasionally show small opacities in suprapatellar pouch, but it is not as confirmatory as MR. Arthroscopic synovectomy has been the treatment of choice for LA. It is minimally invasive, gives complete resection of lesion, and enables early patient mobilization. Macroscopically, LA has a “frond-like” appearance with numerous broad-based polypoid or thin papillary villi composed of fatty yellow tissue. Histologically, the villi are filled with mature adipose cells, and enlarged or congested hyperemic capillaries may be present. The overlying synovial membrane may contain mononuclear chronic inflammatory cells, and the synovial cells may appear to be enlarged and reactive, with abundant eosinophilic cytoplasm. Recurrence after arthroscopic debridement is uncommon . Occasionally, in case of extensive involvement, open synovectomy can be performed. It has also been stated that if prompt synovectomy is not done, development of early arthritis can occur. Hence, progressive joint degeneration could be prevented or at least delayed if prompt synovectomy is performed . Successful treatment with yttrium 90 radiosynovectomy and chemical synovectomy with osmic acid has also been described in literature . Hence, we conclude that LA is a rare entity and needs high index of suspicion for accurate diagnosis. It is a condition that needs early intervention to prevent progressive joint degeneration and gives excellent patient satisfaction with arthroscopic debridement with very low incidence of recurrence. LA is a rare entity and needs high index of suspicion for accurate diagnosis. It gives excellent results with arthroscopic synovectomy provided the synovectomy has been thorough. 1. Arzimanoglu A. Bilateral arborescent lipoma of the knee: A case report. J Bone Joint Surg Am 1957;39(4):976-979. 2. 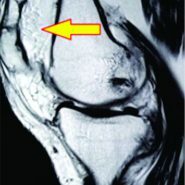 Prabhakar V, Naik S. Lipoma arborescens of the knee: Report of a case with full range of motion and literature review. Saudi J Sports Med 2014;14(1):55-58. 3. Vilanova JC, Barceló J, Villalón M, Aldomà J, Delgado E, Zapater I. MR imaging of lipoma arborescens and the associated lesions. Skeletal Radiol 2003;32(9):504-509. 4. Kloen P, Keel SB, Chandler HP, Geiger RH, Zarins B, Andrew E. Rosenberg lipoma arborescens of the knee. J Bone Joint Surg (Br) 1998;80-B:298-301. 5. Sanamandra SK, Ong KO. Lipomaarborescens. Singapore Med J 2014;55(1):5-11. 6. Kakkar N, Vasishta RK, Anand H. Pathological case of the month. Synovial lipomatosis. Arch Pediatr Adolesc Med 1999;153(2):203-204. 7. Miladore N, Childs MA, Sabesan VJ. Synovial lipomatosis: A rare cause of knee pain in an adolescent female. World J Orthop 2015;6(3):369-373. 8. Rao S, Rajkumar A, Elizabeth MJ, Ganesan V, Kuruvilla S. Pathology of synovial lipomatosis and its clinical significance. J Lab Physicians 2011;3(2):84-88. 9. Howe BM, Wenger DE. Lipoma arborescens: Comparison of typical and atypical disease presentations. Clin Radiol 2013;68(12):1220-1226. 10. Al-Ismail K, Torreggiani WC, Al-Sheikh F, Keogh C, Munk PL. Bilateral lipoma arborescens associated with early osteoarthritis. Eur Radiol 2002;12(11):2799-2802. 11. Sheldon PJ, Forrester DM, Learch TJ. Imaging of intraarticular masses. 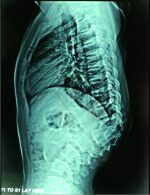 Radiographics 2005;25(1):105-119. 12. Erol B, Ozyurek S, Guler F, Kose O. Lipoma arborescens of the knee joint. BMJ Case Rep 2013;2013:Bcr2013009271. 13. Natera L, Gelber PE, Erquicia JI, Monllau JC. Primary lipoma arborescens of the knee may involve the development of early osteoarthritis if prompt synovectomy is not performed. J Orthop Traumatol 2015;16(1):47-53. 14. Erselcan T, Bulut O, Bulut S, Dogan D, Turgut B, Ozdemir S, et al. Lipoma arborescens successfully treated by yttrium-90 radiosynovectomy. Ann Nucl Med 2003;17(7):593-596.